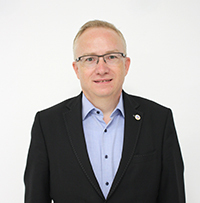 Per Paludan Hansen is the General Secretary at LOF (Liberal Adult Education Association) since 2001, an organisation that he has worked for since 1994. He is also the Chairman of the board of DAEA (Danish Adult Education Association) since 2007; and President of EAEA since 2013 and previously served as a member of the Board since 2008. He has a Master’s degree in political science (MSc) from Aarhus University, Denmark. With our manifesto for adult learning in the 21st century, the EAEA has established a strong and clear voice for adult learning. The EAEA has a strong and recognized position. EAEA is a key stakeholder and a clear voice of adult education throughout Europe. At the same time, there have never been a stronger need for adult education.